Joan Bulley Keever passed away peacefully on Sunday, July 29, 2018 at the age of 88. 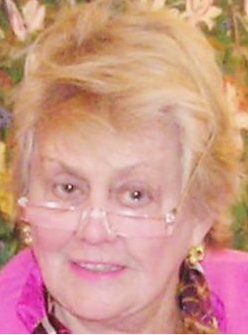 Joan Keever, 88, passed away on July 29. Her funeral was on Aug. 4. She was born on Feb. 27, 1930 in Evanston, IL to Allan E. Bulley, Sr. and Lucille Kile Bulley of Kenilworth, IL. Joan attended the Joseph Sears School in Kenilworth, New Trier High School in Winnetka, IL and Mills College in Oakland, CA, where she earned her bachelor of science degree. She married H. Weller “Jake” Keever on Sept. 20, 1958 and lived in Manhattan before moving to New Canaan, where she lived since 1960. She immediately joined the New Canaan Sewing Group where she donated her time and efforts for 58 years. She was chair of the New Canaan Country School’s Frogtown Fair in 1976 and also enjoyed working at their annual Clothesline Sales. She loved teaching swimming and synchronized swimming at the New Canaan YMCA. She also took pride in teaching English as a second language starting in college and continuing that role throughout her life. She was a member of the St. Mark’s Episcopal Church of New Canaan during all of her years in town. Her many memberships in clubs included the Junior League of Evanston, IL & New York City, the Women’s Westchester-Fairfield Golf Association and the Woodway Country Club in Darien. A natural athlete, she became an accomplished golfer in competition. Her favorite tournament at Woodway was the Partner’s Best Ball where she paired with her “Horse” Sis Madigan Healey in spirited play with her group of friends. She also served on the admissions committee and was a driving force in establishing a scholarship fund for the club’s employees. Joan adored many things in life, especially her family, their traditions as well as her creativity with needlepoint and knitting. These elements were most evident with her love of the Christmas season when all of her handiwork would be displayed throughout the house. The Christmas dinner treasure hunts during dessert were a continuation of her mother-in-law’s time, but enhanced with the special wit and skill that only she could bring. Heaven help the person who received the clue “O Tannenbaum” as over 50 types of real and needlepointed Christmas trees decorated the house. She won awards for her needlepointed king bed-sized headboard depicting a lovely garden as well as for her culinary skills with her legendary cheesecake. She also had a deep love of her pets, starting in her childhood with her cat, Herman, and her, dog, Boots. Over her life, she nurtured and cared for Siamese cats, Brandy & Benedictine, Pernod & Cointreau, Crème de Cacao & Sambuca, Lillet & Pimm. Dogs included English springer Spaniel, Sam & golden retriever, Mandrake’s Champagne Charlie. A memorial service was held at St. Mark’s Episcopal Church in New Canaan on Saturday, Aug. 4. Donations may be made to the St. Mark’s Church Parish, 111 Oenoke Ridge, New Canaan, CT 06840; New Canaan Artisans, P.O. Box 215, New Canaan, CT 06840 or to the Woodway Scholarship Fund, 540 Hoyt St., Darien, CT 06820.